In 1066, the language used by the people of England was rather different from modern English. If you were suddenly transported to eleventh century England you would struggle to understand what people were saying. However, after a while, you would notice that many of the words used then and today are similar. About half of commonly used English words have Old English roots. The Germanic tribes who arrived in England from the fifth century must have communicated using a hybrid language that the different tribes could understand. This mix of Germanic dialects became what we now call Old English. Many Old English words survive in modern English. The mystery is: what happened to the Celts as the Germanic tribes occupied England? 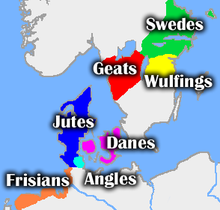 Old English was originally a West Germanic hybrid. However, from the ninth century, when the Vikings started to arrive, there was a stronger Scandinavian (or North Germanic) influence. As speakers of different, but similar, dialects tried to communicate with each other, the English language started to develop by simplifying and becoming more user-friendly. These were the English language’s first steps to becoming a global language. 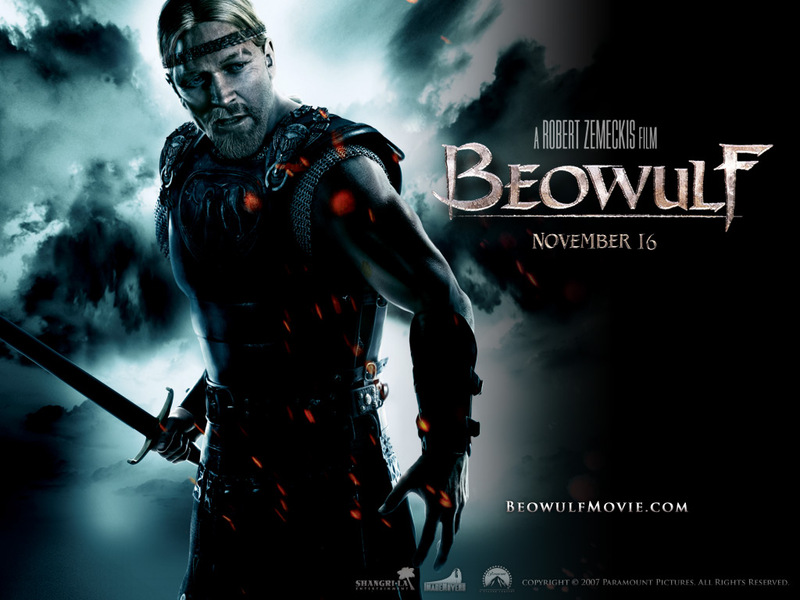 The most famous example of Old English is the epic poem Beowulf which is a kind of fantasy story set in Scandinavia. The Old English epic poem Beowulf survives in written form in the language of the West Saxons and it mentions several other Germanic tribes from the period of expansion into England. The story of Beowulf is a strange mix of historical reality and fantasy. When J.R.R. Tolkien, who wrote The Lord of the Rings, was professor of Anglo-Saxon at Oxford, he argued that Beowulf was not just a childish fantasy, but that the monsters have an important symbolic and psychological significance. The Germanic tribes from the time of expansion into England are mentioned in the epic poem Beowulf. Take a look at any part of the Beowulf text and you will see that it is not easy for the modern English speaker to understand. However, you can see that the roots of English are already present. 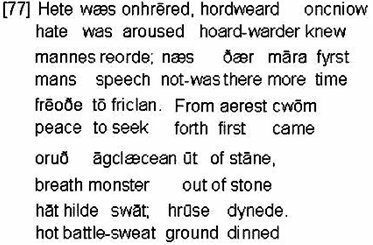 Above, you can see some occasional similarities between Old and modern English: Each line of Old English from Beowulf is followed by a line of modern English translation. Latin, the language of the ancient Romans, also had an enormous influence on the development of English. The Germanic tribes started to arrive in England when the Romans left and Latin continued to be the language of education and diplomacy not just in England but across the whole of Europe. The tribes also started to be converted to Christianity from about the end of the sixth century AD, so there was an increasing number of Latin-speaking priests in the country. Today, there are a huge number of English words with Latin roots. Latin and, to a lesser extent, Greek were popularized by early Christian scholars like the Venerable Bede. Words from these languages were routinely borrowed into English just as English words are borrowed into Japanese today. 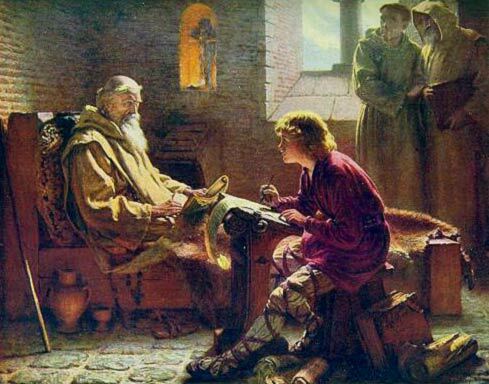 The Venerable Bede was an English monk and scholar who did a great deal to spread Christianity in England. Scholars like Bede knew Latin and Greek and words from these languages continued to be borrowed into English for centuries. So English is a Germanic dialect that was strongly influenced by Scandinavian dialects, then Latin and Greek? After 1066, of course, the influence of French was to be huge. There are relatively few English words of Welsh origin, which encourages people to believe that the Anglo-Saxons killed all the Celts as they occupied England. Many English people like to believe that they have pure German blood and that their language is basically a dialect of German. However, this may just be a fantasy. Some scholars argue that there is a profound Celtic influence on English grammar, suggesting that the Brittonic Celts mixed quietly into English society just as they certainly did in Scotland, where (Brittonic) ancient Pict has, very surprisingly, had no influence at all on Scots Gaelic. 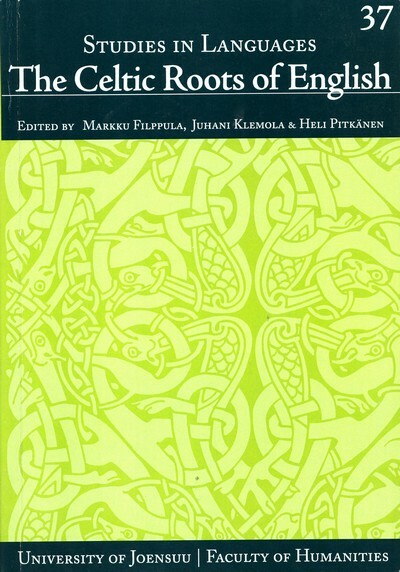 Some scholars suggest that the grammar of English was profoundly influenced by Celtic languages.